It’s a slow process, but I’ve been trying to get myself out to more portfolio reviews when I can get them. 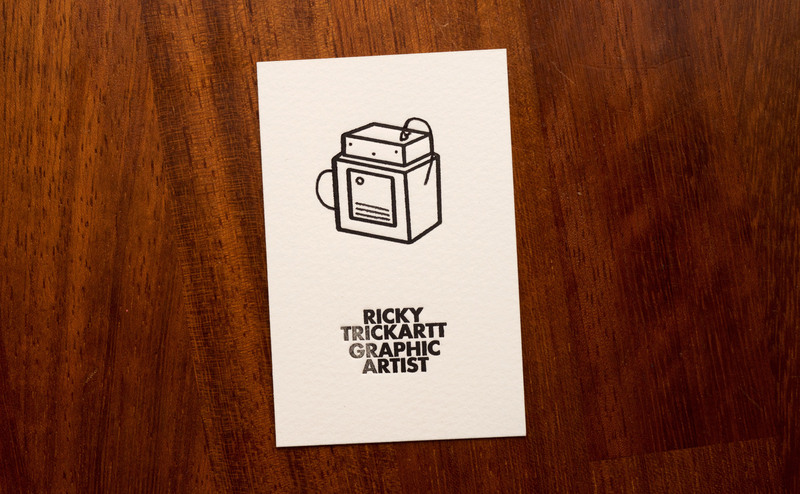 I’ll usually give people cat stickers or post-it notes, but I had an idea recently to use the tiny letterpress to make some calling cards. 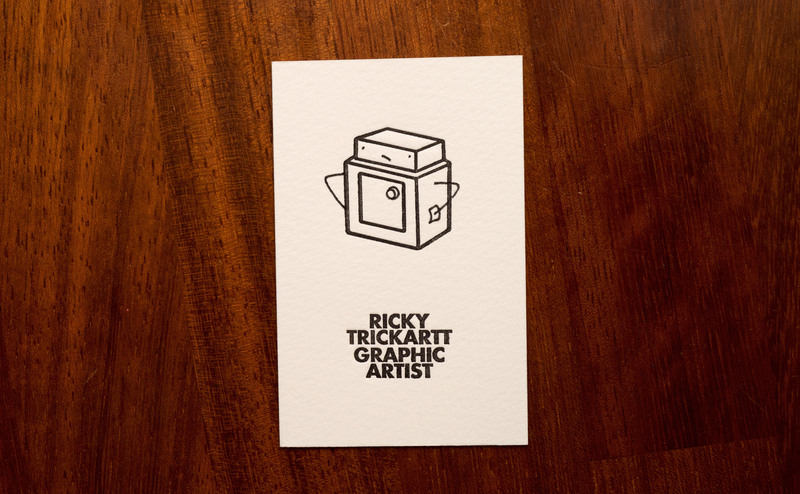 Not business cards- I’m far too independent and self-depreciating for them – just something to give someone, to hopefully remind them they met me. Letterpressing alone would make for a nice and somewhat-unique thing in this world, but I had an idea for how to make them more interesting. 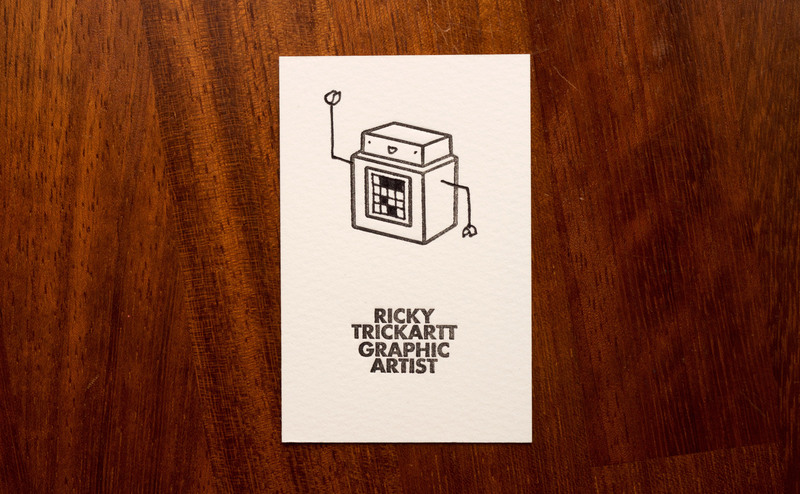 I’m constantly drawing robots doing mundane things, which I’ve combined into the cards – along with my name, I’ve letterpressed in a template for a robot, which I can fill in for the recipient based on the mood of the encounter. 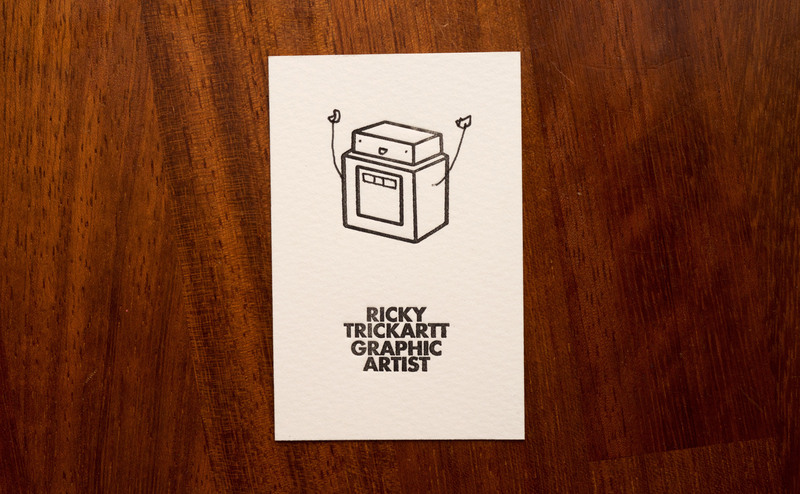 As I was printing something as small as intended with my little letterpress (for once), it gave a really good deep impression on the paper stock. 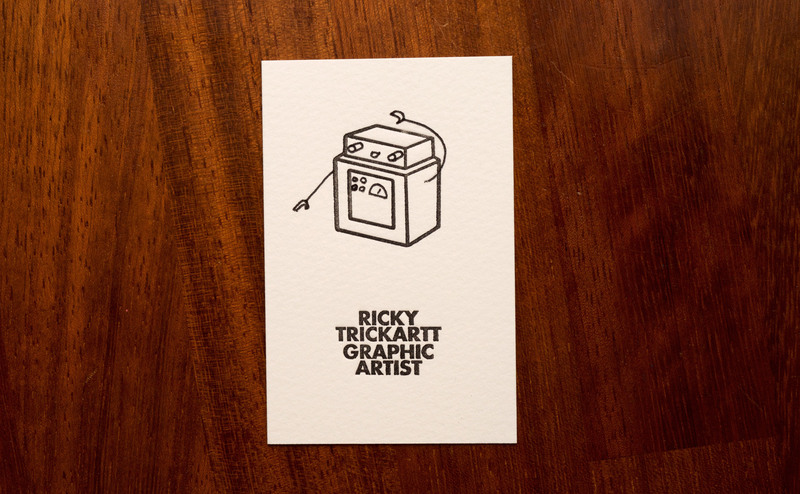 Check out the tiny video I made about making these tiny cards! Now let’s hope I can find some interesting people to give them to.